Rubén Gimeno has been the Chief Conductor of Orquesta Sinfónica del Valles, tenure that he started back in 2009 until 15/16 season. Before taking his position in Barcelona, Rubén Gimeno was during six years Artistic Director of Galicia Symphony Youth Orchestra, responsibility that he combined with his position as a violinist at Galicia Symphony. As a guest conductor Rubén Gimeno has successfully appeared with most of the Spanish orchestras including among others Galicia Symphony, Spanish National Orchestra, Tenerife Symphony, Euskadi Symphony, Asturias Symphony Orchestra, Bilbao Symphony, Castilla and León Symphony, City of Málaga Orchestra, Valencia Orchestra, Barcelona Symphony, City of Granada Orchestra, Oviedo Philharmonic, Orquesta de la Comunidad de Madrid and Palau de les Arts Symphony Orchestra. International appearances include collaborations with the Norrkoping Symphony Orchestra, Gavle Symphony Orchestra, Geneva Chamber Orchestra , Orchestra MMCK (Japan), Maryland University Orchestra, SAMI Orchestra (Sweden) and Colombia National Symphony, collaborating with soloists such as Lang Lang, Midori, Steven Isserlis, Dimitri Sitkovetsky, Fazil Say, Violeta Urmana, Gabriela Montero, Behzod Abduraimov and Michel Camilo. Ruben Gimeno is also very active at the lyric field, something that has taken him to conduct several productions at Teatro Campoamor in Oviedo including Marina, La Gran Via and Agua, Azucarillos y Aguardiente. He has also collaborated together with Galicia Symphony in performances of Cádiz by Chueca and La del Soto del Parral at Teatro de la Zarzuela. 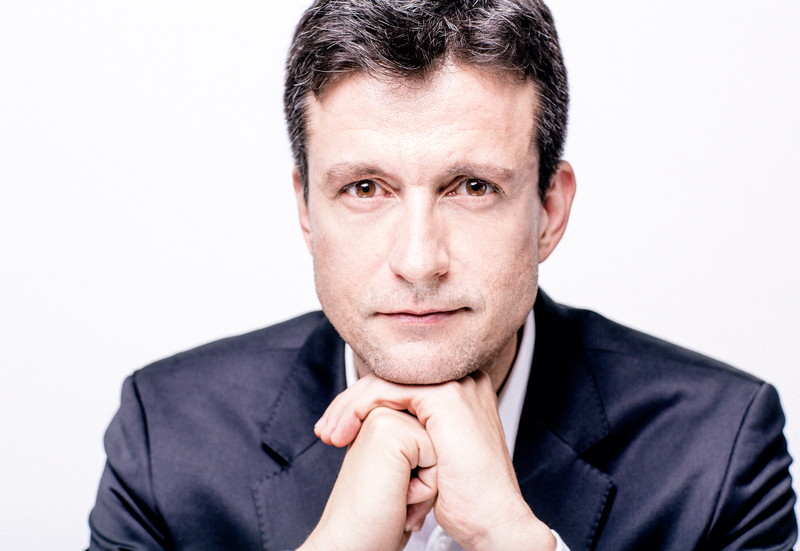 In addition, Rubén Gimeno is developing an intense collaboration with the opera series “Opera in Catalonia” having conducted so far titles such as Les Contes d’Hoffmann, L’Elisir d’Amore, Nabucco. Boheme, Madama Butterfly and Enric Granados’ opera Goyescas. Rubén Gimeno debuted with huge success at the Gran Teatre del Liceu in Barcelona, conducting on two gala concerts dedicated to celebrate Verdi’s bicentenary anniversary. Gimeno followed conducting studies with James Ross, graduating at Maryland University on a Master in Orchestra Conducting. Later on he further studied at the Stockholm Conservatory with the highly reputed Jorma Panula, and maestros like Alan Gilbert, Essa Pekka Salonen, Jukka Pekka Saraste and Leonard Slatkin, graduating with a Superior Diploma in Orchestra Conducting. He has recorded with Euskadi Symphony Orchestra for the label Claves, as part of its Basque composers series.